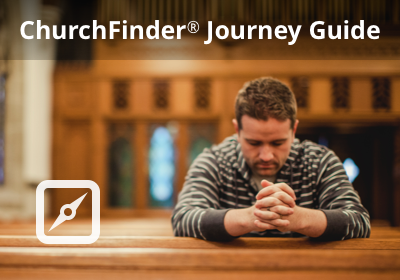 As you search for the right church, you should be aware there are differences in Christian beliefs and practices between denominations and even between independent churches. Many of these differences flow from some of the historical origins and practices we examined in the previous Introduction to Denominations section. Baptism is perhaps the greatest dividing line among Christian denominations. The three main methods of baptism that have been used throughout Christian history are sprinkling, pouring and immersion (total submersion of the person under water). Of these three, sprinkling and immersion are the two most commonly used in Protestant churches. With the exception of Baptists and Pentecostal Churches (International Pentecostal Holiness, Church of God and Assembly of God) who believe in immersion, most if not all other denominations baptize by sprinkling-although some may immerse a candidate if they request it. Churches also differ on when they baptize a person. Infant baptism has a long history in Christian churches and is practiced by all denominations except Baptist and Pentecostal groups. Those who practice infant baptism may or may not believe it plays a role in the person’s salvation, but denominations that reject it believe immersion is the proper form of baptism even though they don’t believe it has anything to do with salvation. Churches that baptize infants also baptize believing adults who weren’t baptized as children. It is important in your search for a church to first determine what you believe about baptism - both the method used and whether infants should be baptized or whether baptism should take place only after a person trusts Christ as their Savior, and then to investigate what the church practices. It appears the general belief of all denominations is that a person receives the Holy Spirit the moment they believe in Jesus Christ as their Savior, but what happens after that is variously interpreted. Pentecostal groups give great emphasis to the power and work of the Holy Spirit while other mainline Protestant groups major on His presence more than His power. Charismatic churches believe in a second work of the Holy Spirit that happens at some point after salvation. This second work of grace is called “baptism of the Holy Spirit” and is normally evidenced by a spiritual gift such as speaking in tongues. Not all who are members of these denominations have received this gift, but it should be sought after according to their teachings. Denominations not affiliated with charismatic groups emphasize being “filled with the Holy Spirit” as opposed to being baptized with the Holy Spirit. The person’s resulting lifestyle would be the same, but the charismatic gifts associated with being “baptized with the Holy Spirit” aren’t emphasized. Sanctification is usually associated with a denomination’s teaching about the Holy Spirit. Some churches believe that sanctification is a one-time event that occurs at a particular point after salvation but whose effects continue for a lifetime. But most Christian churches teach that sanctification is the lifetime process of becoming more like Christ in our attitudes, actions and words that begins at salvation and continues throughout one’s lifetime. In searching for a church home, you should be aware that different churches and denominations will emphasize one or the other of these roles of the Holy Spirit. What position they take will have a bearing on the teaching you hear and what expressions you may witness during the worship experience. Among Christian denominations, there are two positions concerning the gifts of the Holy Spirit which are mentioned at various places in the New Testament. Not all Christians agree on whether the Bible gives a complete list or even what that list is. Cessationism is the belief that the charismatic gifts (speaking in tongues, healing, miracles, prophecy) ceased very soon in church history after the original disciples of Jesus died, while continuationism is the belief that they are still active in the Church today. Although there are exceptions, in general Pentecostal denominations believe the gifts are still active while other denominations question their validity. If you are searching for a church, don’t feel like you need to decide what you believe about this before choosing a church home. But you should be aware of it, since you may notice a difference between churches you visit as you observe the emphasis of the worship service. If you aren’t comfortable with actions such raising hands during worship, praying for healing, and other charismatic expressions, then you may not be comfortable attending a church Pentecostal or charismatic church. On the other hand, when your child or a loved one is sick, or when you need a real miracle in your life, you might be more inclined to know what the Bible says about divine healing and miracles. At the times of your life that you most need a miracle, you might be glad that you chose a church that believes miracles still happen today.